As you declutter your homes in the upcoming Year of the Pig, set aside preloved-backpacks, caps, power banks and umbrellas-that are in mint condition. Ang Pao packets are welcome too. 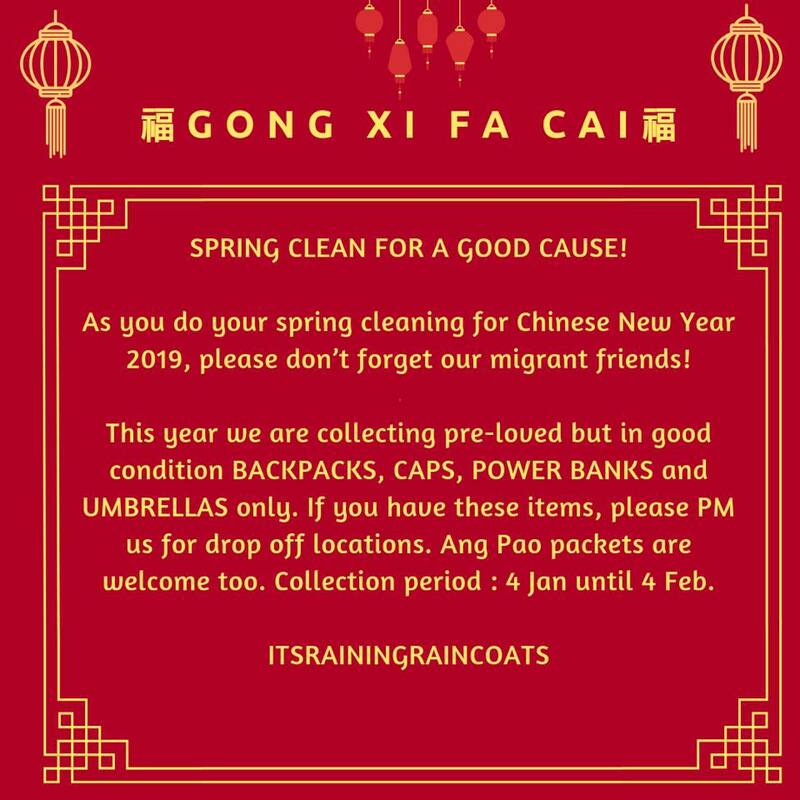 Collections will be be done islandwide and redistributed by the awesome team from Itsrainingraincoats to the hard working and very deserving migrant workers in Singapore. Hurry up, you have time till Feb 4th.